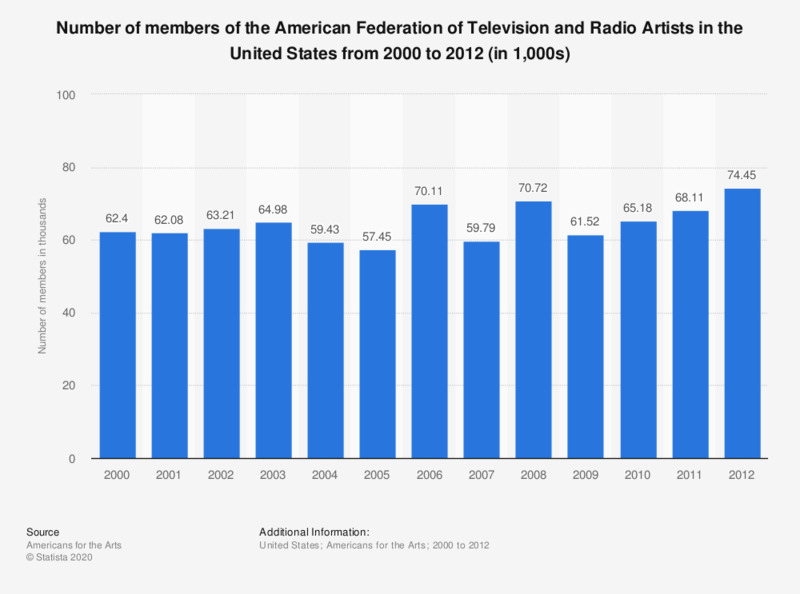 This statistic shows the number of members of the American Federation of Television and Radio Artists in the United States from 2000 to 2012. In 2012, there were approximately 74.45 thousand members of the American Federation of Television and Radio Artists. The American Federation of Television and Radio Artists is a national labor union representing performers, journalists and other artists working in the entertainment and news media.